Have you been at the organic mushroom wine again, RS? That programme remains one of my favourites, despite all my grandchildren being too old to watch it any more. He may be one of the founders of the National Theatre, a great Shakespearean actor, and one of only two British actors to have been knighted by more than one monarchy, but to me Sir Derek's greatest work will always be the Upsy Daisy song. Isn't that a pip! Getting back to the Ninky Nonk railway, I believe fear of parking chaos was at the root of the refusal. That could be solved by either providing a car park or applying controls similar to those around the station I once knew as Redland Parkway. 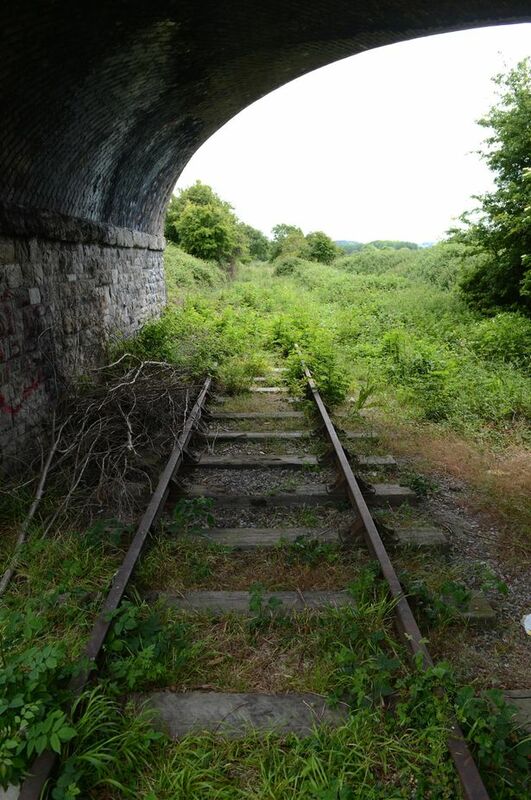 North Somerset Times article "Councillors confident trains to Bristol from Portishead will run ‘by 2023’"
I had a conversation with a senior member of the Portishead Railway Group earlier this week, who assures me the timescale is unduly pessimistic. He thinks it will be up and running by 2022. Charfield station's been talked about for at least as long as Portishead, hasn't it? It was put to a vote of residents about 20 years ago. They said no, because they didn't want people from Wotton under Edge using it. Charfield. A local village for local people. More like 2025 at the rate projects progress in this area. More likely we will have a helishuttle service from Portishead helipad to College Green helipad before then cos helicopters CAN fly, unlike pigs (at the mo). Now that would be news if it's proves to be true. Did he say anymore about why he thought it might be that year? Just that he thought a lot of slack had been built into the system. Once the DCO has been given and the funding sorted out, it's all systems go ! There is no reason why it shouldn't be done within 3 years, apart from the traditional council buffonery. We are told that GRIP 4 is due to be completed this month, which is the point where the council(s) can hand over to Network Rail to carry on, maybe obtaining the DCO while the desin stage is running. The track bed is there for the last 3 miles from Portbury Junction.The line to Portbury dock was laid in about a year, including building the spur into the harbour. The old track could possibly be used one last time, to deliver materials and equipment for the build. The station building won't be on the scale of Temple Meads, and signalling will probably be minimal. Maybe, just maybe, it will be done by 2022, and the council's pessimistic date is so they can announce that they have opened it early. Bristol Live a bit busy this week with Metrowest news. The latest article looks at extending Metrowest to Gloucester and Westbury. Evidently GWR and Network Rail are keen on it and the consequent avoiding of turnbacks will reduce costs. An announcement expected in summer. Phase one, which is currently under way, will see the reopening of the Portishead line to passenger trains and improving services on the Severn Beach and Bath to Bristol lines. Confidence is growing among transport chiefs that the MetroWest railway will be expanded all the way to Gloucester and Westbury in Wiltshire. A report to the West of England Combined Authority (Weca) overview and scrutiny committee revealed train operator Great Western Railway and Network Rail, which manages the lines, are both keen on the plans. 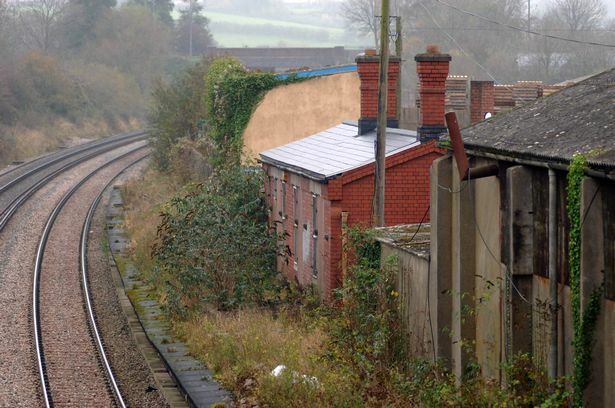 The “phase three” extension to the ambitious project, which aims to improve suburban train services into Bristol, received a boost last year when the Government announced it would back the idea. Work is also ongoing for phase two which would reopen the Henbury Line to an hourly spur service, as well as providing increased, half-hourly trains to Yate. Expanding MetroWest 30 miles beyond Yate to Gloucester in the north, with possible extra stops in between, and 15 miles from Bath to Westbury in the east is now under serious discussion, which is set to conclude by the summer. Weca director of infrastructure David Carter told combined authority councillors: “In the autumn we asked for MetroWest 1 to be extended to Westbury and MetroWest 2 to be extended to Gloucester. “That’s up to the Department for Transport to negotiate with the franchisee, which is Great Western Railway, to determine whether they will or won’t accept that. Mr Carter said at the meeting on Wednesday, February 27, that Weca was working with Network Rail on the necessary infrastructure to extend to Westbury. He said: “All the suggestions are that Great Western Railway and Network Rail would like to extend to Westbury and Gloucester and that the capital cost saving will be a benefit to the scheme. “To go to Westbury they need to update three level crossings down the Avon Valley. “We need to make sure they don’t need land or planning permission to do that and that it’s all done by permitted development. “If they did, we’d have to make the decision that to run the MetroWest service, you may have to have a turnback. “So until they can tell us categorically in June or July that you don’t need to do that and can go all the way to Westbury then we can’t make that decision, and the same is true of Yate. Mr Carter said a funding gap remained for phase one and that negotiations were ongoing with the Government. Last month, North Somerset Council allocated £15million to the Portishead-line section of the project and approved £11.7million over two years to develop a full business case. But it still faces a £31million shortfall. 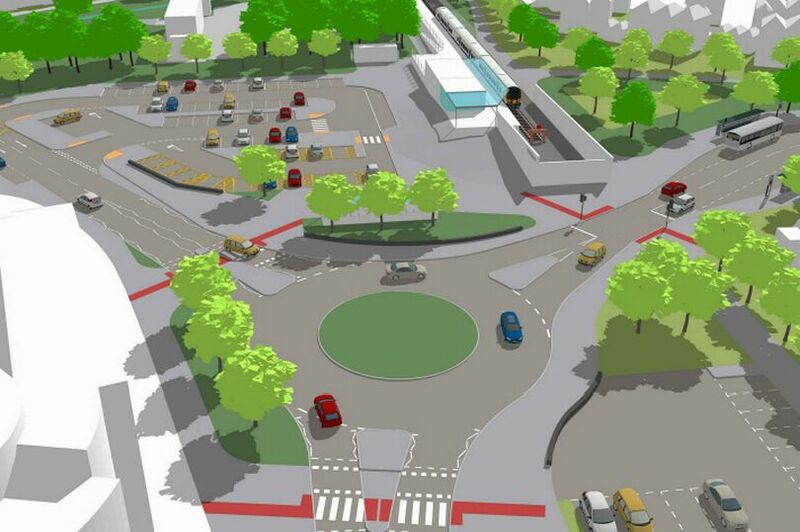 The plans also include building new rail stations at Henbury, North Filton and Ashley Down. Anyone know why the level crossings would need updating as trains run on that route already? £31 million shortfall sounds a lot, but MetroBust went around £60 million over budget and scrapped its revenue stream without anyone seeming unduly concerned. Maybe a few quid can be had from Gloucester and Wiltshire towards the cost. I could perhaps be persuaded that turn backs on existing tracks at Bath Spa are not going to be possible every hour - though there are already a couple of service that turn back there each day off pattern. But on that same basis, I would need to be persuaded that there's sufficient capacity across Bathampton Junction, across Bradford Junction, and at Westbury to reverse the trains. Westbury really needs the 4th platform re-instating even before 'they' try and turn an extra train around each hour - lost opportunity at Christmas I'm sad to say. And I'm sad to say it will be very, very hard to persuade me otherwise. Last Monday's timetabling meeting told us how difficult it is to schedule TransWilts trains / slot them in with the faster and more frequent services on the main line section from Chippenham to Swindon, along the single track sections with a 15 minute-ish transit time (and perhaps pathing time), and then to a platform to reverse at Westbury. Which is why the Southampton and Portsmouth train leaves just before the train from Swindon (currently carrying passengers want to change for Southampton and Portsmouth gets there). And in reverse the Swindon train has a habit of leaving just before the train from .... you guessed it! I don't see how Westbury will robustly support turning back another train every hour on 3 platforms, unless there is utter disregard to connections. Or perhaps the MetroWest trains are already in the 2020 draft timetable to "run when required" but the version shared for consulting contained only the trains that will be required? There is a solution - run all (yes, all) the MetroWest stoppers - every half hour - on to Frome. Alternate trains to reverse there and to carry on to Yeovil Pen Mill. Bring the Three Rivers train that sits in the bay as Salisbury for nearly an hour on to Westbury, with alternate trains (all at peak times) extended to Swindon and Oxford. Timetable to provide two-way cross-platform interchanges between one of the MetroWest trains (preferably the Yeovil one) and the Three Rivers to Swindon / Oxford. Maybe a few quid can be had from Gloucester and Wiltshire towards the cost. Interesting suggestion. "I know you've already got two trains per hour - but we've got trouble dealing with an issue with another train on our patch - can it come onto yours for operations reasons please?". Then "Oh, thank your for helping us a out of a hole and providing us with a way to save spending our money - would you like to pay for helping is out of the hole?" It looks as though what is saved on the cost of turnbacks may still be spent on providing capacity somewhere else. I like the Frome idea, although before long, you could end up in Portsmouth or Southampton. That Three Rivers Train - does it sit quietly for no reason, or is it the crew's meal break, as happens at Temple Meads with the Waterloo trains? I didn't think that one through, did !? Pardon my ignorance, but is this perhaps one of those cases like Crossrail to Maidenhead, where everyone knew that Reading would be the final terminus, but they had to say Maidenhead to make the numbers work? Of course Gloucester and Westbury would be desirable in more ways than one, because if everything goes well, once you get everything going and prove the business case, when you get to late CP6 and the rolling stock needs replacing, you build a nice business case for electrifying the lot, without depending as heavily on XC. Playing further fantasy railways, if you had four platforms at Chippenham, could the ability to loop stoppers be enough to make reopening Corsham and Wooton Basset realistic? EDIT: Also posted here due to ongoing relevant thread.